—SOURCE: "Toxic Solvent Found in Curcumin Extract,"
SHORT-TERM EFFECTS OF EDC: central nervous system disorders; adverse liver, kidney, and lung effects; and heart failure. LONG-TERM EFFECTS OF EDC: probable carcinogen. A deprecated testing method is often used for curcumin so toxic solvents remain undetected and blindly pass through GMP standards. 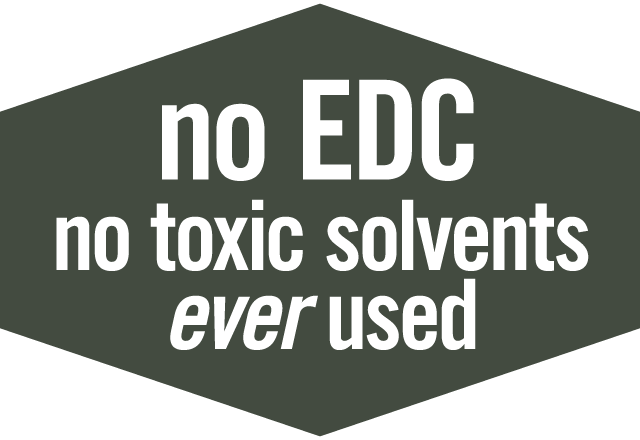 Why would companies use harmful solvents? To lower manufacturing costs. Using EDC results in a much higher yield of curcumin. The problem is further complicated because an unapproved testing method is often used so toxins remain undetected and blindly pass through GMP standards. (GMP is the minimum legal requirement for supplements manufactured in the USA.) So, uninformed manufacturers and retailers may not even realize their curcumin products contain unsafe solvents. Which testing methods are available for herbal extracts? How should curcumin be tested? Why don't all manufacturers use the correct method? COST. GC-HEADSPACE is far more expensive than GC-MS.
Why is the wrong testing method commonly used? To save money. It's important to note that use of GC-MS for curcumin is not illegal but merely un-approved by the USP/FDA. GC-MS is reliable for many other herbal extracts. And, use of GC-MS testing for curcumin was acceptable years ago but has been deprecated by the USP because they found GC-MS fails to dissolve curcumin crystals and contaminants remain undetected. GC-HEADSPACE vaporizes curcumin crystals and is therefore the reliable and approved for testing curcumin. The United States Pharmacopeia (USP) sets the standards used by the Food and Drug Association (FDA). GC-HEADSPACE is the only FDA-approved method for testing curcumin. GC-HEADSPACE is approved by USP/FDA for curcumin because it vaporizes curcumin crystals and releases any solvents. GC-MS is un-approved by USP/FDA for curcumin because GC-MS cannot breakdown or dissolve curcumin crystals, so contaminants remain undetected. GC-MS testing fails to dissolve curcumin crystals and contaminants remain undetected. BIOMOR® Curcumin is tested using GC-HEADSPACE to confirm purity and safety—always exceeding current USP/FDA standards. BIOMOR® Curcumin is the name you can trust for the best curcumin. 1. Sarker, S.D., et al. "Bioactivity of Turmeric," Turmeric: The genus Curcuma; Medicinal and aromatic plants--industrial profiles, edited by Ravindran, P.N., et al. Boca Raton, FL: CRC Press, 2007. 2. Shishodia, S., et al. "Curcumin: Getting Back to the Roots," Ann. N.Y. Acad. Sci. : 1056, 206-217, 2005. 3. Majeed, M., et al. Curcuminoids: antioxidant nutrients. Piscataway, NJ: Nutriscience Pubs., Inc., 1995. 4. Bharat, B.A., et al. "Curcumin--Biological and Medicinal Properties," Turmeric: The genus Curcuma; Medicinal and aromatic plants--industrial profiles, edited by Ravindran, P.N., et al. Boca Raton, FL: CRC Press, 2007. 5. Atal, C.K., et al. "Biochemical basis of enhanced drug bioavailability by piperine: evidence that piperine is a potent inhibitor of drug metabolism," American Society for Pharmacology and Experimental Therapeutics: Vol. 232, Issue 1, pp. 258-262, 1985. 6. Kotwal, G.J., et al. Natural Products and Molecular Therapy, First International Conference. New York, NY: Annals of the New York Academy of Sciences, Vol. 1056, 2005. 8. Benny, M., et al. Spice India: Vol. 19, No. 9, pp. 11-15, 2006. 10. "A Pilot Cross-Over Study to evaluate human oral bioavailability of BCM-95 (CurcuGreen), A Novel Bioenhanced Preparation of Curcumin." Ind J Pharm Sci. 2008;70(4):445-449. 11. Bezerra, D.P., et al. "In vivo growth-inhibition of sarcoma 180 by piplartine and piperine, two alkaloid amides from Piper." Brazilian journal of medical and biological research: Vol. 39, No. 6, pp. 801-807, 2006. 12. Van Wyk, B.E., et al. Medicinal Plants of the World. Portland OR: Timber Press Inc., 2004. 13. Duke, J.A., et al. CRC Handbook of Medicinal Spices. Boca Raton, FL: CRC Press, 2003. 14. Cronin, J.R. "Curcumin: Old spice is a new medicine." Journal of Alternative & Complementary Therapies: Feb. 2003, pp. 34-38. 15. Cheng, A.L., et al. "Phase I clinical trial of curcumin, a chemoprotective agent, in patients with high-risk or pre-malignant lesions." Anti-cancer Res. 2001; July-Aug 21:2895-2900. 17. Antony, B., et al. "A pilot cross-over study to evaluate human oral bioavailability of BCM-95 (CurcuGreen) CG, a novel bioenhanced preparation of curcumin," Indian J. Pharm. Sci. : 2008, 70(4), pp. 445-450. 18. Piyachaturawat P., et al. "Acute and subacute toxicity of piperine in mice, rats and hamsters," Toxicol Lett 1983;16:351-9. 19. Daware, M.B., et al. "Reproductive toxicity of piperine in swiss albino mice," Planta Med 2000;66:231-6. 20. Panda S., et al. "Piperine lowers the serum concentrations of thyroid hormones, glucose and hepatic 5'D activity in adult male mice," Horm Metab Res 2003;35:523-6. 21. Unchern, S., et al. "Death of cerebellar granule neurons induced by piperine is distinct from that induced by low potassium," Neurochem Res 1998;23:97-102. 22. Werbach M.R., et al. Botanical Influences on Illness: A Sourcebook of Clinical Research: Second Edition. Tarzana, CA: Third Line Press Inc., 2000. 23. Antony, B. "Composition to Enhance the Bioavailability of Curcumin," U.S. Patent Nos. 7,736,679, 7,883,728, 7,879,373 (2011). 24. Liva, R. "Toxic Solvent Found in Curcumin Extract," Integrative Medicine, 9:5 Oct/Nov 2010. 25. Tebbey, P.W., Buttke, T.M. "Molecular basis for the immunosuppressive action of stearic acid on T cells,"Immunology, 70(3): 379–386, Jul 1990. 26. Jones, D.M. "Factors to Consider in Fluid-Bed Processing," Pharmaceutical Technology, Apr 1985. 27. Bhardwaj RK, et al. Piperine, a Major Constituent of Black Pepper, Inhibits Human P-glycoprotein and CYP3A4. Journal of Pharmacology and Experimental Therapeutics August 2002 302(2):645-650. 28. Kizhakkedath, et al. Molecular Medicine Reports, 2011;8(5):1542-8. 29. Chandran, et al. Phytotherapy Research, 2012;26(11):1719-25. 30. Hejazi, et al. Journal Cancer Science Therapy, 2013;5(10):320-324. 31. Sanmukhani, et al. Acta Pol Pharm, 2011;68(5):769-75. 32. Sanmukhani, et al. Phytotherapy Research, 2014;28:579-585. 33. Lopresti, et al. Journal of Effective Disorders, 2017;207:188-196. 34. Baum, et al. Journal of Psychopharmacology, 2008;28(1):110-114. 35. Leray, et al. British Journal Nutrition, 2011;106(Suppl1):S198-201. 36. Myers BM, et al. Effect of red pepper and black pepper on the stomach. Am J Gastroenterol. 1987 Mar;82(3):211-4. Copyright © 2008-2019 Healthy Source LLC.